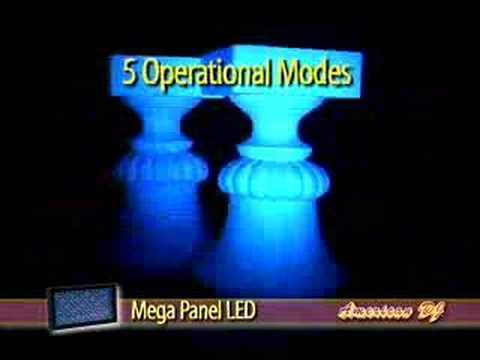 Considering purchasing the American DJ Mega Panel LED? Have questions? Ask people who've recently bought one. Do you own the American DJ Mega Panel LED? Why not write a review based on your experience with it. Really bright and nice effects!! I bought they's lights in BPM 2012, i use them on the centre of my american dj light bridge one for weddings and put them on auto run all night and i find they really powerful to light up a large dance floor for slow songs just 2 panels is more than enough!! 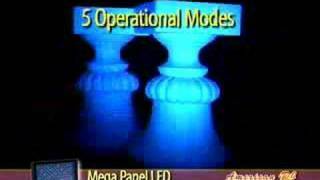 Seen a video for American DJ Mega Panel LED online or have you own video? You will earn 496 loyalty points with this product worth £1.24, when logged in. Check out American DJ Mega Panel LED on DJkit.com!